Relief is coming. 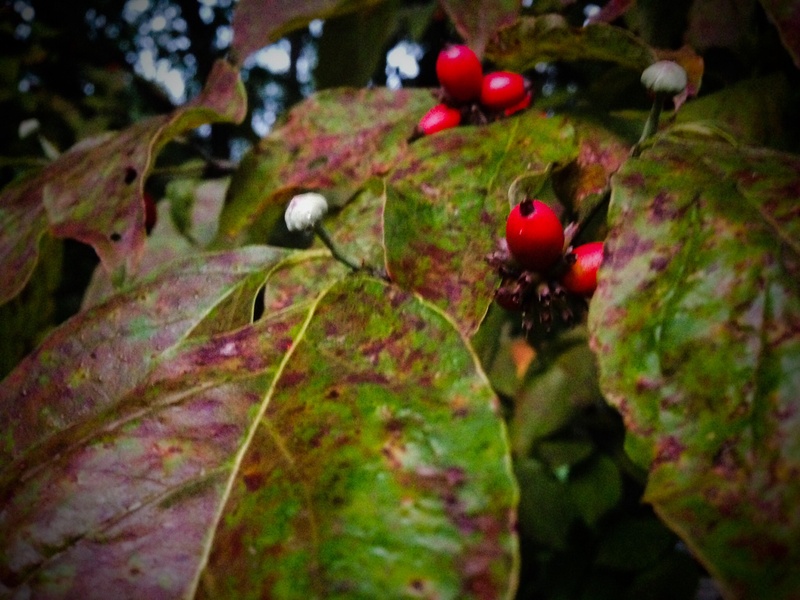 I see the signs most vividly on my dogwood tree. 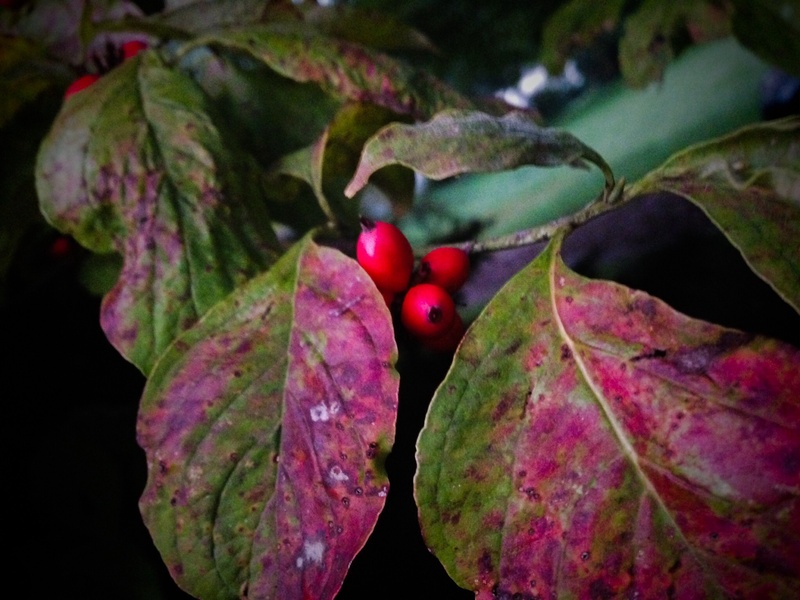 While the temperatures in East Tennessee are still hot and the humidity is still high, my dogwood tells me that fall is on its way and soon there will be respite from summer’s moist, heavy air. The past 2 summers have held an additional heaviness for me as well, the weight of grief bearing down as oppressively as the soaring temperatures and wilting humidity. Stepping physically into the heat feels much like stepping onto the path of mourning, as though somehow my energy is being drained from me, body and soul. I know this path well. It seems like I’ve been walking it for most of my life. Still, its familiarity does not make it any easier to navigate, nor any shorter. But relief is coming. 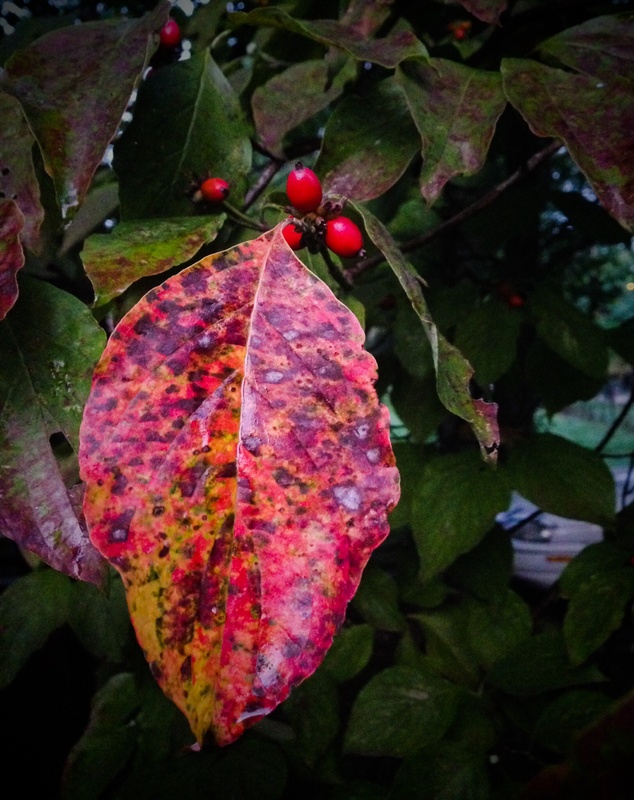 The changing colors on my dogwood tree are just the earliest harbingers of changes yet to begin. Soon the maples, oaks and other trees will begin their turning from summer’s greens to the parade of warmer shades brought on by the cooler temperatures. Such a graceful paradox, cooler bringing warmer and vice versa. Relief is also coming for my grief. There will never be a total removal of pain from the deaths of those I love, nor should there be. But gradually, over time and with the changing seasons, the pain becomes less sharp, always lingering but not as suffocating as before.